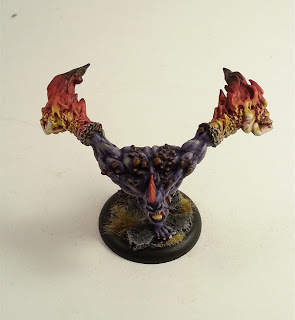 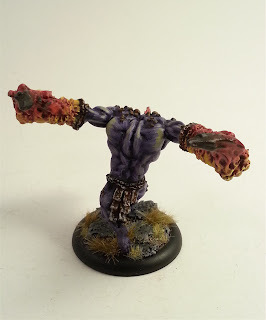 I now am only 1 model away from finishing all the beasts in this army (still have an Earthborn Dire Troll). I have never actually painted fire before if you can believe it so with that in mind I am very pleased how it turned out. 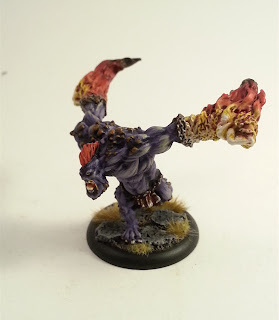 I am going to paint my first caster this upcoming weekend so I have a "Mangled Tooth" (so nothing but beasts and a caster) which I am pretty stoked for.